Though Hellocycle has been around since 2015, we took a bit of a hibernation period recently. This time was spent brainstorming, building, and then reinvesting in our subscription recycling concept. But with the climate forecasts how they are, we can’t wait around to take positive action. Our mission, which is to enable people to safely and conveniently recycle more items, hasn’t changed. But the planet has. So we have a refreshed sense of urgency, and we’re committed to bringing subscription recycling to as many people as possible. In the interest of accessibility, we’ve developed three plans: Household, Business and Single Box. There’s an option for everyone, and they’re all available at a low cost and with the absolute minimum hassle or stress. You’ll fill the box with the items we recycle (and if you throw in a few extras, we’ll probably figure out a way to recycle those, too). You’ll tape it up, mail it back with the pre-paid USPS sticker, and we do the rest. This plan is the best option for most homeowners, families, or anyone with regular recycling needs. If you poke around your home, you may be surprised by how much recycling you can find. Lightbulbs, dead batteries, and other home electronics can hide anywhere! 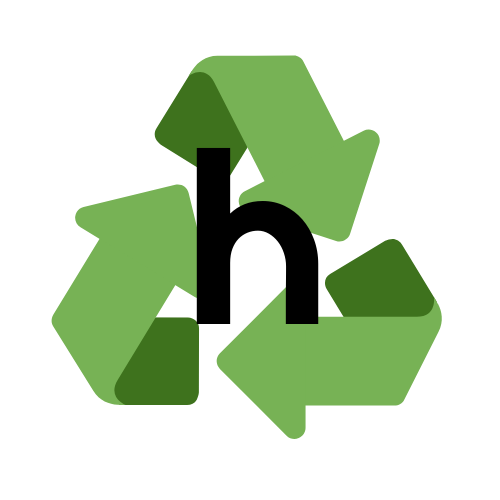 A monthly Hellocycle subscription helps you de-clutter without guilt or hassle. Our Business plan is ideal for schools, institutions, small businesses, and junk generators of all kinds. Maintain an eco-friendly business without damaging the bottom line! You’ll be able to send and receive unlimited boxes. As fast as you can fill it, we can recycle it. And if you prefer to pay in quarterly installments, you’ll save 20% over the monthly price! Are you a renter, student, or tiny house dweller with just a few hard-to-recycle items? Clean out a junk drawer with a single Hellocycle box. For just $20 we’ll send you a box that you can fill to the brim. You’ll be refreshed, organized, and feeling the warm fuzzies in no time. There’s never been a better time to try Hellocycle. And if you needed an extra incentive, we’re offering the first month free to our Household subscribers with the code “Hello”. What are you waiting for? Pick your plan today.